The Facts – What’s It All About? In IE Test, LLC, the three members of the LLC were involved in a dispute based on a previous business endeavor in which member Carroll claimed to be owed significant monies. After the demise of their first business idea, the three members decided to start a new business, called IE Test, LLC. Unfortunately, the members could not agree on a written operating agreement, and Carroll continued to insist on payment of compensation which the other two members refused to pay. Because the members did not sign an operating agreement, the default rules of the LLC Act applied. IE Test then filed a lawsuit against Carroll seeking, among other things, to expel him from the LLC. The trial court denied IE Test’s request to expel Carroll based on wrongful conduct, finding that Carroll simply arguing to be reimbursed for prior investments gone awry did not amount to wrongful conduct. The trial court did, however, rule that the stalemate among the three members satisfied the LLC Act’s default rules at subsection 3(c), which provides that a member may be judicially expelled if his conduct makes it “not reasonably practicable” to operate the LLC. The appellate court affirmed the trial court’s decision. The Supreme Court, however, reversed the decision to expel Carroll. In so doing, the Court set out several factors courts must consider when determining whether a member should be disassociated under the LLC Act’s default rules. Generally, the Court ruled that an LLC member who attempts to expel another member is “required to clear a high bar.” Just as important, the Court explained that certain circumstances would not warrant the expulsion of an LLC member. For example, the Court found that the state legislature did not authorize a court to expel a member simply because it would be more difficult for the other members to run the business with that member in the business. The Court also concluded that LLC members cannot expel another member in order to avoid sharing profits with that member. 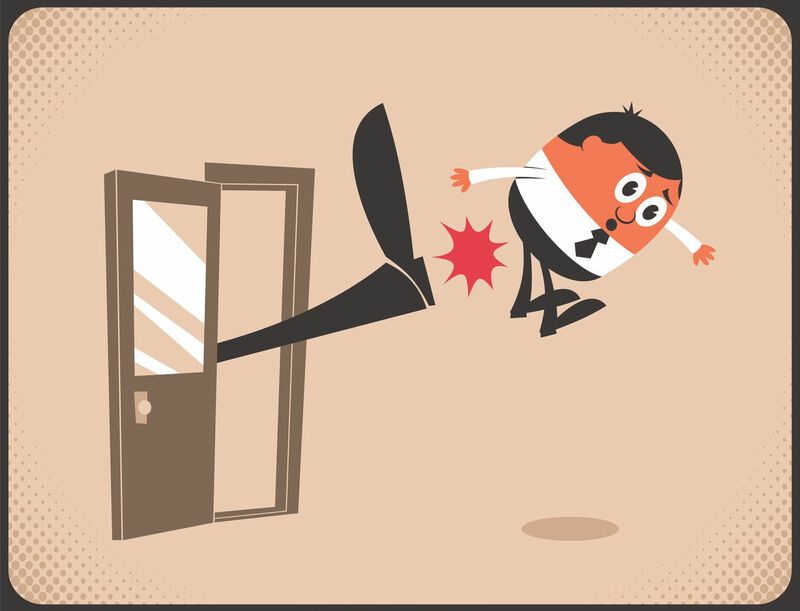 A member also cannot be kicked to the curb simply because there is a conflict or disagreement among the members. In essence, the challenge to the business must be much more significant to justify expelling a member. Interestingly, the Court adopted these factors from a Colorado case that involved judicial dissolution of an LLC, rather than judicial expulsion of a member. The Court pointed out that not all factors have to satisfy expulsion, and no one factor is determinative. As it is often said, those who do not learn from history are doomed to repeat it. Once again, as we have seen quite often, the failure to execute a proper operating agreement resulted in a business dispute that could not be resolved absent a longwinded, costly litigation. No doubt the parties’ wallets in this case are a lot lighter as a result of this expensive litigation. The decision is a stark reminder that business owners must have a clear and well-written operating agreement in place which could avoid such a result and costly litigation. For example, the members could agree in writing what sort of circumstances must arise in order to expel an LLC member. In addition, an operating agreement may provide for the amount of compensation or buyout figure to which the exiting member would be entitled, or at least a formula for which the parties can calculate a buyout. The main point is that in this case – and for many others - an ounce of prevention would have been worth much more than a pound of cure.